Sew and Tony — Ocarina and flute duet. 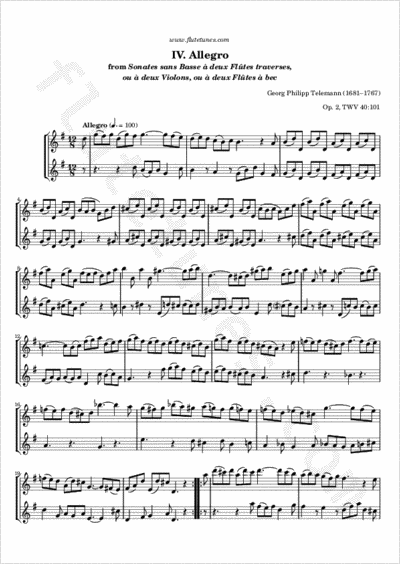 Here is the fourth and last movement of Georg Philipp Telemann's first Sonata without Bass for Two Transverse Flutes, or Two Violins, or Two Recorders. This piece is a 12/8-time binary-form Allegro in G major, featuring some wide interval leaps.